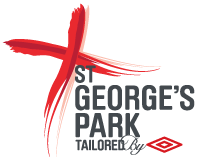 The Government will contribute £3million of funding to St George’s Park, it was announced today. The funding for the national football centre will be used to help increase the number of qualified coaches in the country which, along with other specific initiatives, will also encourage more people from Black and Minority Ethnic (BME) backgrounds to gain the necessary credentials for coaching and managerial positions at the top of the game. In addition to the £3m funding, the FA also revealed details of a new bursary scheme open to coaches from BME backgrounds. The scheme, which is open to candidates with a minimum Level Two coaching qualification, will assist with the costs involved in obtaining the higher UEFA coaching badges and provide them with support and mentoring opportunities at Premier League and Football League clubs. There are currently only three BME managers in the 92 Premier League and Football League clubs: Birmingham City manager Chris Hughton, Charlton Athletic boss Chris Powell and the new Notts County manager Keith Curle. Culture Secretary Jeremy Hunt said of the scheme: “We’ve made significant progress over the last two decades in tackling discrimination in football and this is something we should be proud of. But we mustn’t become complacent. Due to open this August, St George’s Park will become the FA's new centre for coach education and development. The "university of football" will host thousands of coaching courses with the aim of producing 250,000 new coaches by 2018. 80% of attendees will come from the grassroots game. 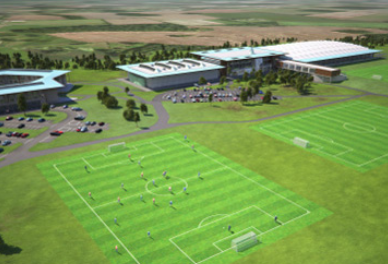 The 330-acre site in Burton-upon-Trent will also play home to all 24 England teams, along with a state-of-the-art sports medicine centre for football, sport and business.